Brian is very professional and thorough in treating my home for pests. I highly recommend him! Excellent service the techs are very knowledgeable and polite very Happy. We would highly recommend your service! The staff is very professional and usually the wait time is reasonable,. What a blessing to have all of our pests controlled and not have to worry about it. Thank you! Rottler service always does a good. Was very happy with the work they did. Tim arrived on time and did a great job! Always pleasant, professional, and responsive. Great job. Both salesman and technician were great to work with. Rottler Pest Control is the only pest control company that I use for my properties. They are professional and are always very responsive to my properties needs. They are the best! They were very professional. They were there when they said. I have not had any complaints or found any bugs after the treatment. I would highly recommend them. This company knows what they are doing. They quickly eliminated a large infestation of mice in our attic and helped us with strategies to prevent their return. Tim is not only knowledgeable & experienced but a kind gentleman and a pleasure to have in our home. He answers all my questions. Also he is quick to get back to me whenever I need help. It is no wonder they have such excellent ratings. Great service. Friendly and reliable. Excellent customer service and they are very quick to respond to our needs!! Love Rottler. My condo is pest free inside and out thanks to Rottler. My house is now bug free inside and out thank to Rottler. scott always does a thorough job when he inspects my home. We are so happy with the services for Roettler. The employees are professional, knowledgeable and helpful. They are always on time, too. Prompt professional . Highly recommend. Had a few snafus during a change in technician staff, but that can be expected. Chad is on the case now, and he is simply awesome. Took the time to explain everything in detail, and he did a thorough job. Good folks in the office too. Rebecca is great! Thanks! Very pleased with our Rottler rep. When we hired Rottler we were experiencing a mouse problem in our attic. Sounds of mice could be heard during day and nite. This problem was corrected by Rottler as well as insects in basement. We are happy with Rottler. W. Mosher. Tim is always timely and thorough. He cares what our concerns are, addressing each of them specific to our needs. 1st treatment was quite effective. The technician was very professional and thorough. He took time to explain the process and let us know what to expect. He also told us to call if we had any questions or needed to have a treatment before the next scheduled one. Great service. Very responsive to needs. I really would have preferred knowing someone was coming to the house. I have dogs and need to make sure they’re in the house. Also would have liked to had the inside of the house sprayed. I've not seen any live bugs so I'm happy. Tim does good work! Very courteous and efficient! Thsnks. Been using Rottler for years. Planning on using their service for many more! 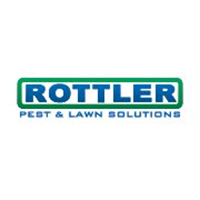 I with am very happy Rottler Pest & Lawn Solutions, I used them twice for two different problems!